Software-defined storage (SDS) is developed at a dizzying pace. At the moment, we have to choose from a whole bunch of solutions, eg. VMware vSAN, EMC ScaleIO (which is based on Ceph), GlusterFS, XtreemFS and at the end, Ceph. Unfortunately, to date, none of these solutions natively supports features such as deduplication (only vSAN 6.2 supports deduplication and compression). 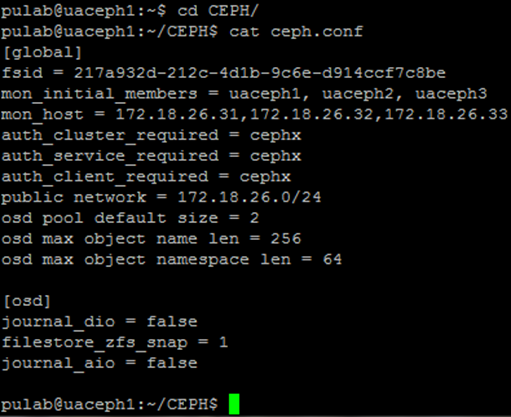 In this article I will show you how to install, on three nodes, Ceph Jewel cluster (the latest stable) based on disks (OSD) formatted with ZFS. 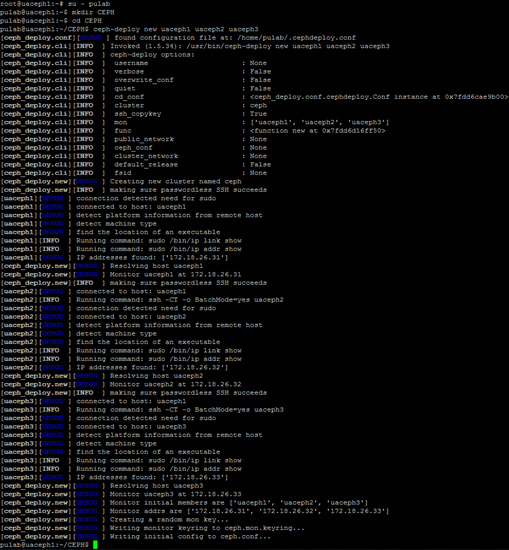 The ZFS source are Solaris OS (and Sun Microsystems, now Oracle), now it is fully ported to a Linux system. For the first time also received the full support on Ubuntu LTS 16. The purpose of this exercise is to test deduplication on SDS (which ZFS supports) and check whether it is possible. 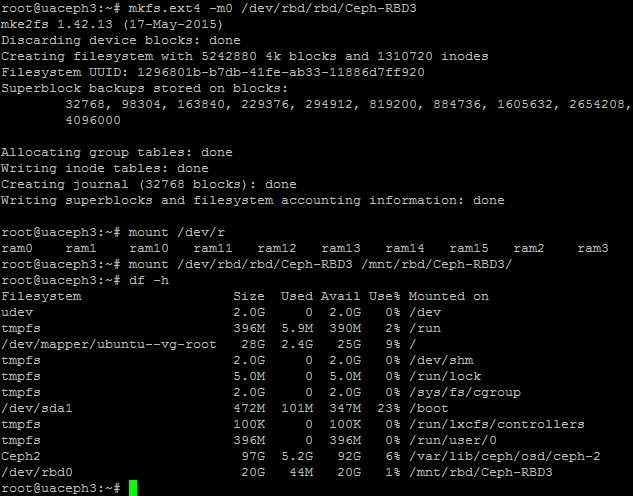 But remember, Ceph officially does not support OSD on ZFS. If you use a proxy server in /etc/apt/apt.conf add directive “Acquire::http::Proxy http: //proxy:port;” and an proxy must be entered in the file /etc/environments. Again, before you start further configuration make sure that all Nodes solve each other names (long and short). User created by you can perform ssh without login and password for all the Nodes, and on each node have synchronized time (very important). 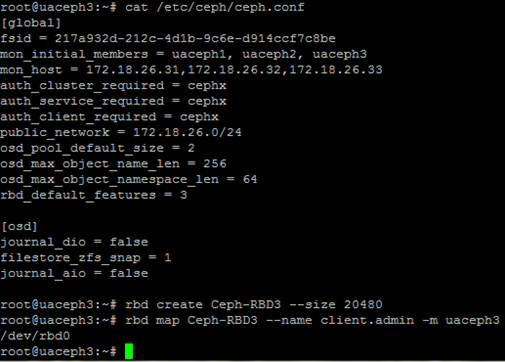 If everything is ok, then on the first server (Administration), install the Ceph-deploy. In this way, we create initialised configuration, at this stage add to the file ceph.conf all lines starting with the public network. The entries for the configuration of the OSD are specific requirements for interoperability with ZFS (apart from the default pool size). 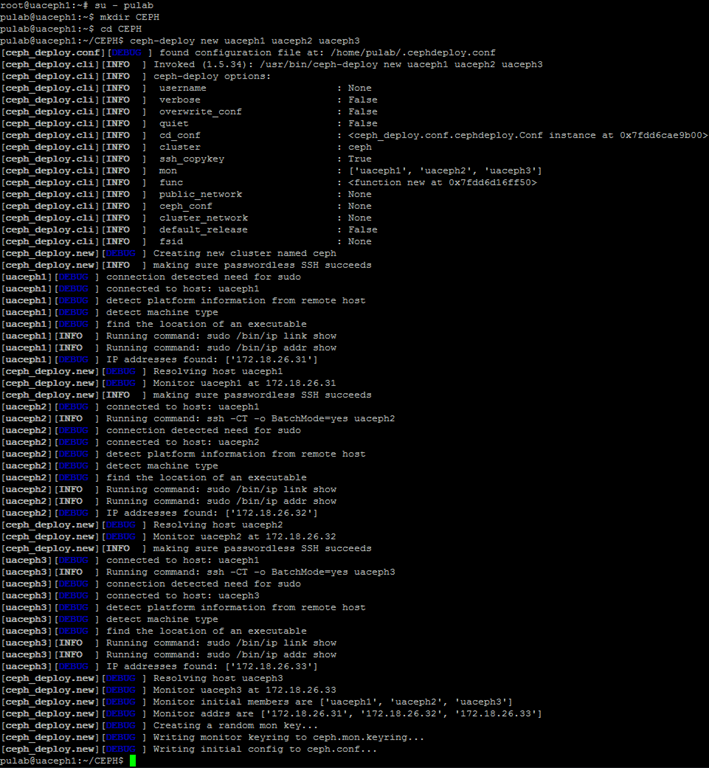 When we have prepared a configuration file, we issue the command cluster installation on all nodes. Installation takes a long time, if break on one of the servers, we can start again only for the selected server. After installing the packages run create initial configuration for all monitors. 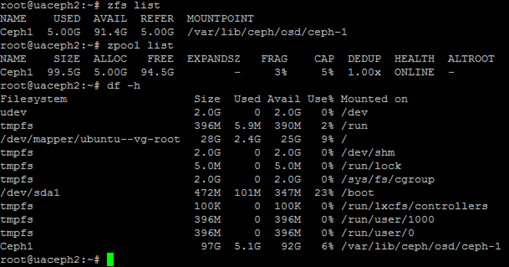 At this stage, we have set up and operating Ceph cluster without connected drives (OSD). 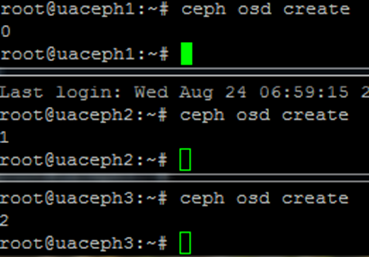 When configure the OSD will you use ZFS which does not support script ceph-deploy, from that moment all the steps execute manually on each server separately. 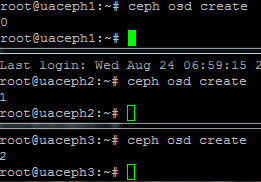 We start with the issue of the “ceph osd create”, returned number is the ID of the OSD (which we used in the later configuration). For each server I have added two additional drives, OSD will be on /dev/sdb. On this disc we create ZFS pool, pool covers the entire disk and is at the same time a file system (FS). In a single pool can be create a lot of FS (but here is not needed). Using the command “zfs set mountpoint” mount the drive in a directory compliant with OSD ID, the image below shows the configuration of the second server (uaceph2). 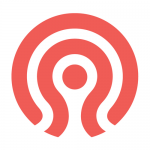 In the next step, we check the permissions in /var/lib/ceph/osd/ceph-id on each server, if the owner is other than the user ceph, change to correct. 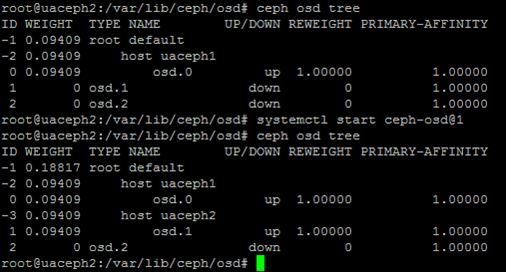 Next start (activate) the individual OSD on every node (systemctl start ceph-osd@ID), by the command “ceph osd tree” check if the OSD stand up properly. At the end check the status of the entire cluster, we should get HEALTH OK.
Now we go into deduplication, first make sure that it is turned off and whether it is worthwhile to turn it on. Is not enabled, the command “zdb –S” tries to simulate the value of what we get when turned on, the value is calculated dedupe = 2.18, which can be safely turn deduplication on. 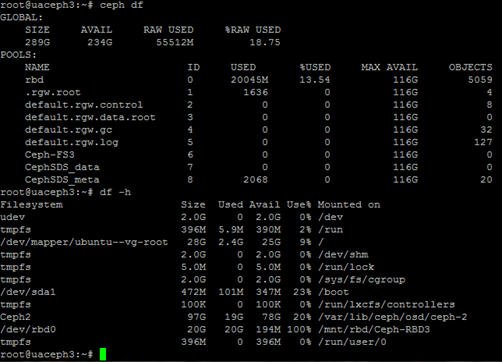 ZFS is extremely easy, set parameter dedupe = on and wait. Where can we use this configuration? 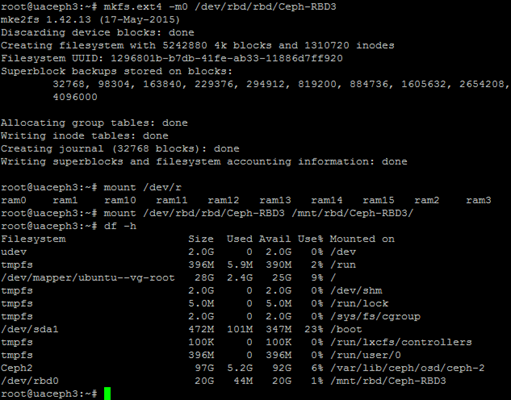 For example, in Proxmox VM that supports ZFS and Ceph. 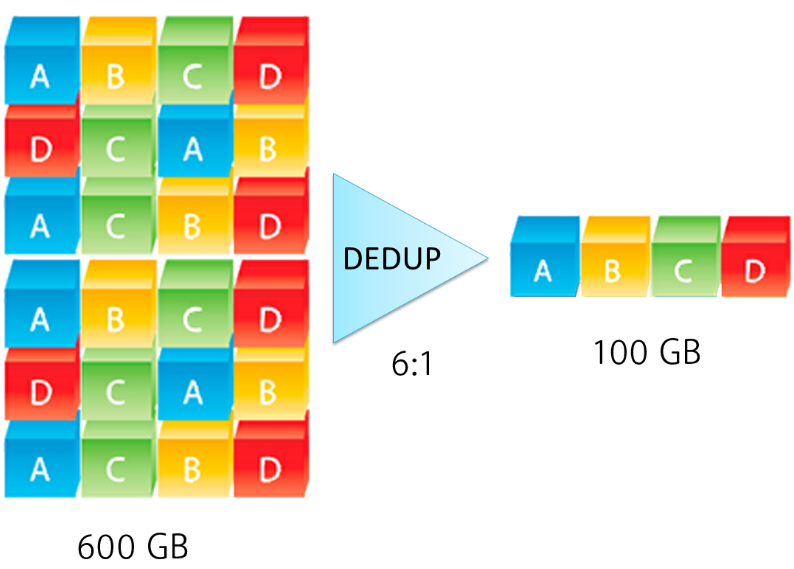 Enabling deduplication in SDS, where data are multiplexed, can bring large savings of disk space. You forgot about the part where you do performance testing. Dedupe is really going to slow down the OSD’s, plus put a extra CPU load on them. Is your OSD ready for such an extra load and extra layer of software? You’re right, drop in OSD performance is about 10%. In addition, ZFS devours 5GB RAM per 1T deduped space. But in a large number of SDS servers it will have meaning? You can wait forever, enabling/disabling deduce is not having any effect on data already present but only on futur data. So you if copied data with dedup off then you want to enable dedup; it won’t effect on the current data but only on new. Same if you disable dedup; you ‘ll still benefit dedup on current data.